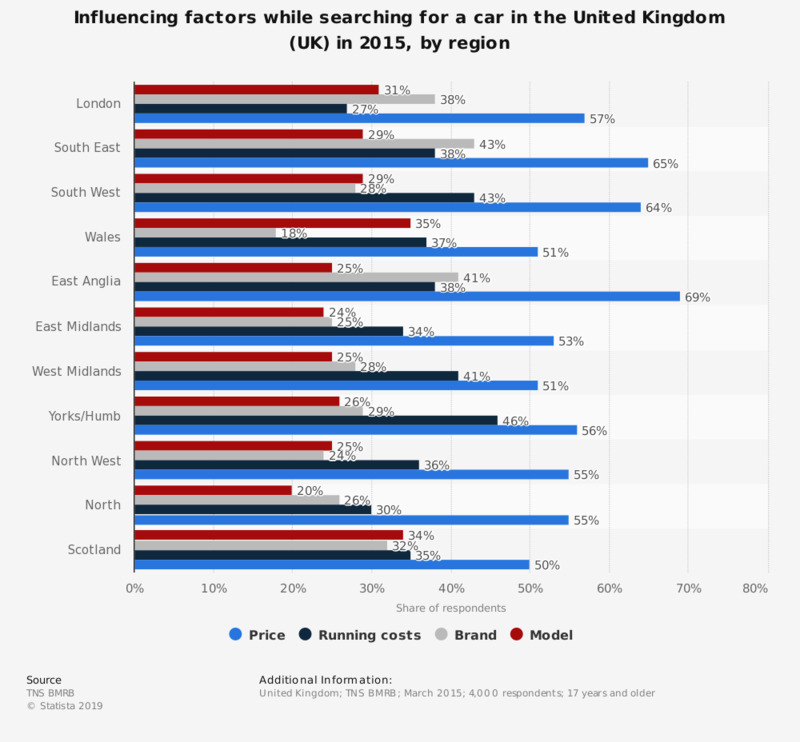 This statistic shows the influencing factors for motorists from different regions of the United Kingdom which influenced their search when buying a car, based on a survey carried out in March 2015. Price was the key factor in all regions with running costs tending to play a more significant role than brand or model. When searching for a new car to purchase, which of the following most closely describes the process you use? If you were looking to buy a new or used vehicle, which, if any, of these factors would be the most important in helping you make your decision? What factors are extremely influential on your decision when buying a car? From car buyer to car owner and user, which stage in your journey provides the weakest digital experience?